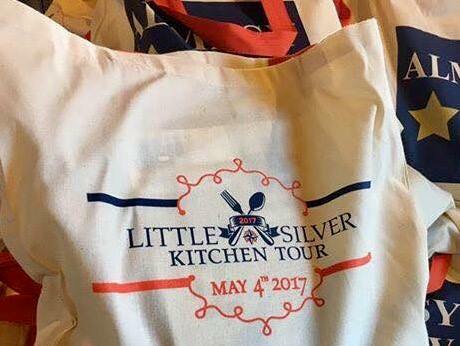 Members of our team attended the Little Silver Kitchen Tour scouting out beautiful New Jersey kitchens and congratulating the Little Silver PTO on a successful fundraiser. Could they have gotten a more beautiful day?! The tour included nine lovely homes with a wide-range of interior design and architectural styles. And while we are about all things as it relates to beautiful design…we admit to our love of food too! Each home had area chefs preparing delicious tastes for tour attendees. Sample treats were prepared by, The French Market, Graze, Chef Dan Vogt, Copper Canyon, Et Al, Chef Covas, Pazzo,The Blonde Shallotand Sickles Market. 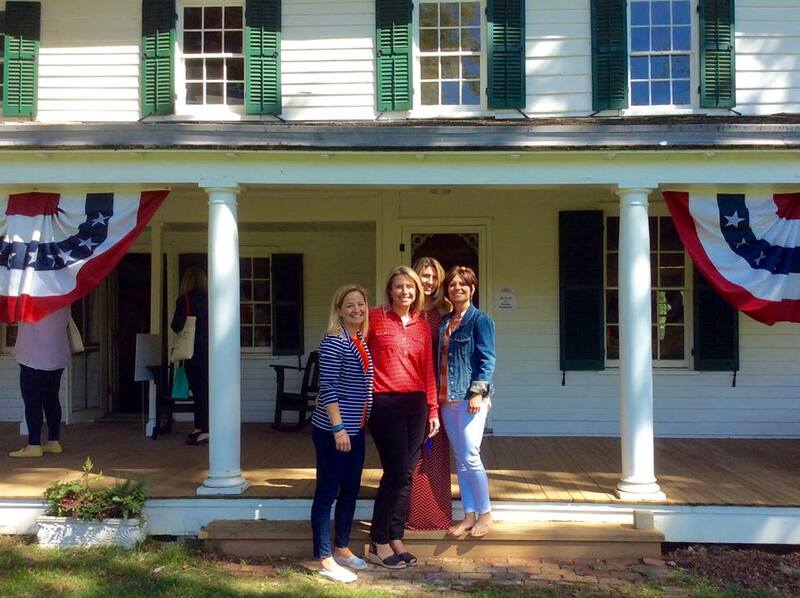 Pictured in front of the old Parker Homestead (circa 1665) are the people that made it happen – Little Silver co-presidents Kate Galbavy and Alicia Aninowsky; and co-chairs of the kitchen tour Kelly Boyer and Eileen Savko. Tour bags, packed with great giveaways-including a copy of Design NJ-were distributed to all attendees. 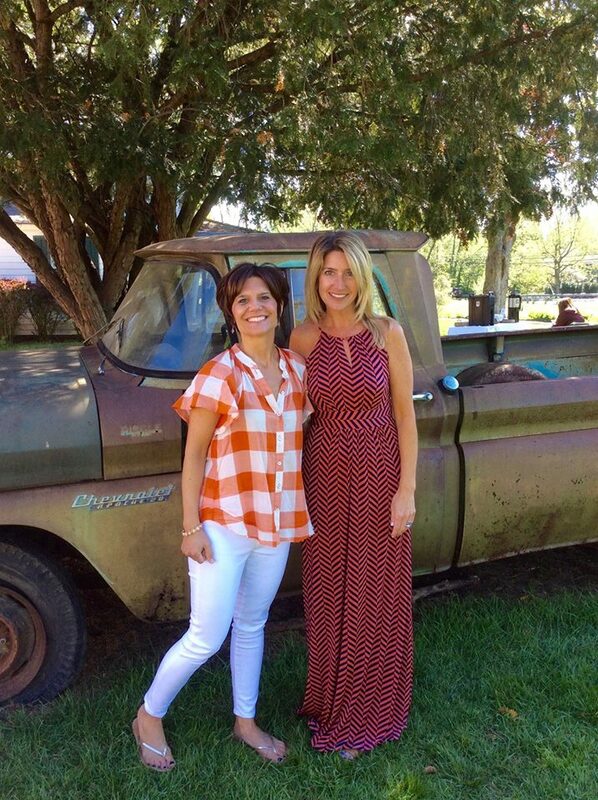 Co-chairs Kelly Boyer and Eileen Savko are all smiles as the strike a pose in front of this antique Chevy pickup truck.